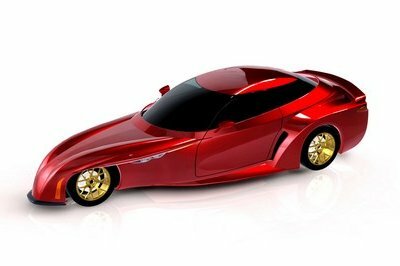 This wingless GT3 suggests that the answer is YES! 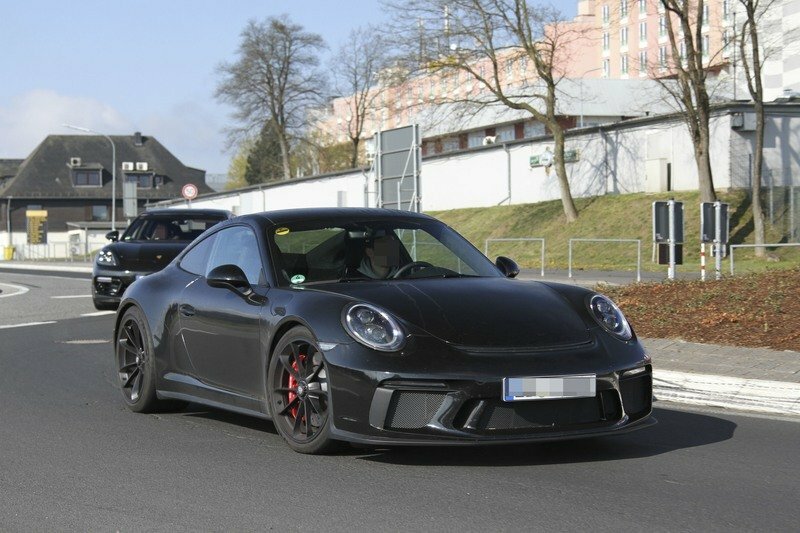 With Porsche having already launched a GT3 version of the updated 991.2-gen 911, it’s safe to assume that a new GT3 RS is also underway . We might even get a new GT2 RS before the current 911 is discontinued, but is seems that Porsche may have at least one more version in the works. 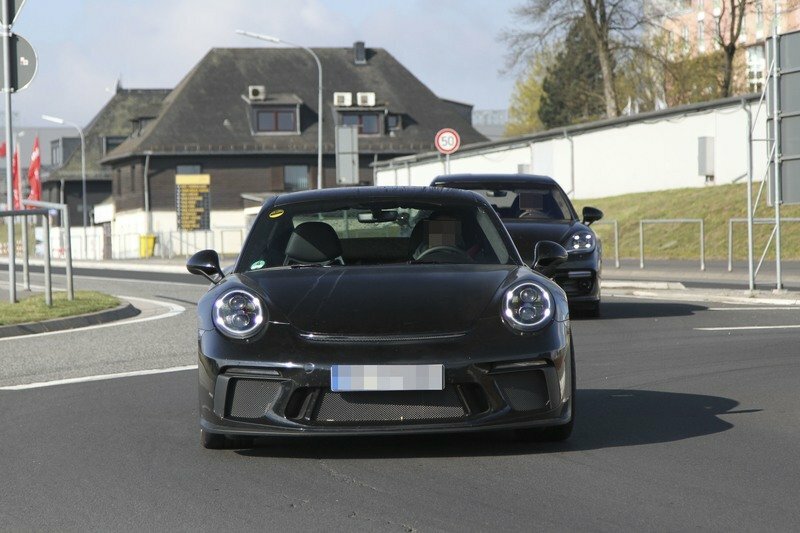 Our skilled paparazzi just spotted a wingless 911 GT3 on the Nurburgring and we might be looking at a successor for the 911 R.
Surprisingly for an upcoming model, Porsche didn’t bother to cover the important bits in camouflage. 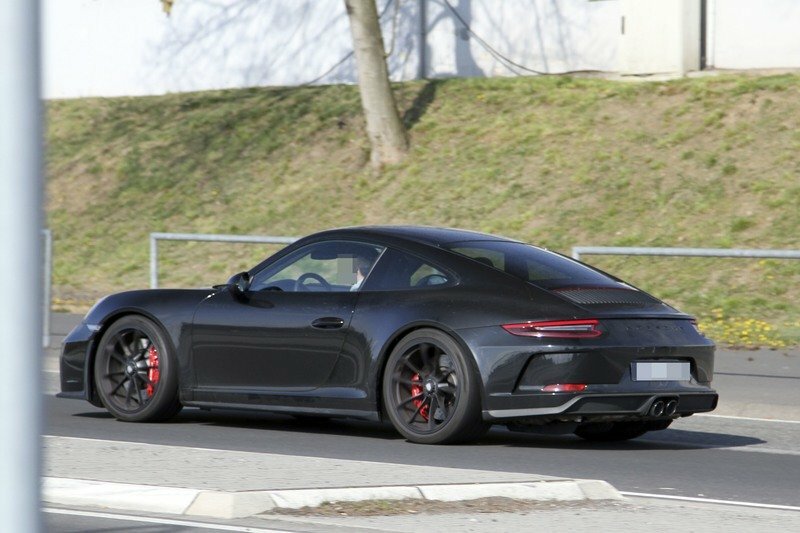 With everything in sight, it’s easy to observe that the coupe is based on the new GT3 and sports identical bumpers, wheels, lights, and exhaust pipes. 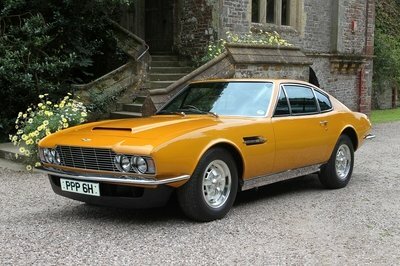 The big wing on the engine lid is the most important element that’s missing, but upon closer inspection I found other elements that are different when compared to the GT3. 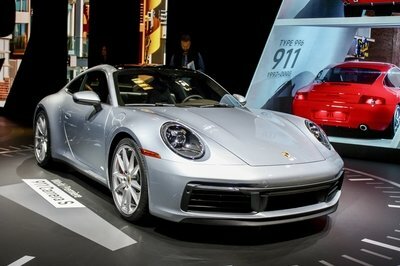 There are no radiator scoops and the engine lid now features the vertical-slat grille seen on the regular 911. 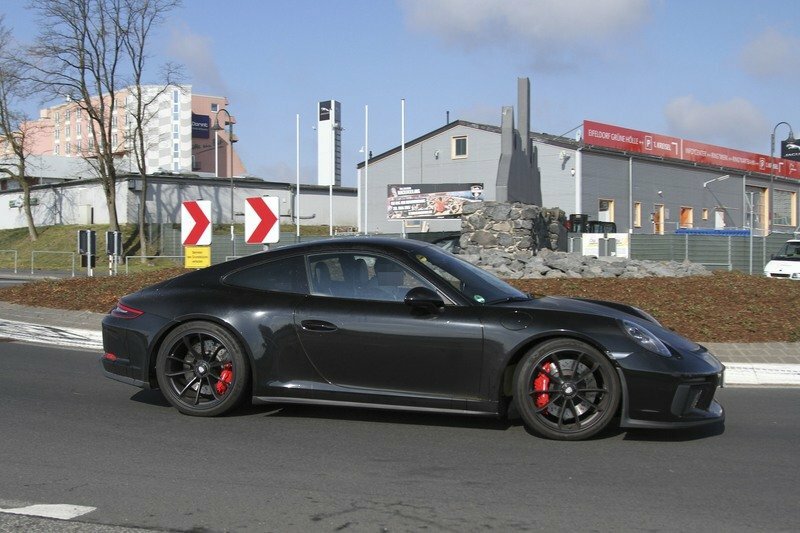 So how do I know this is a new 911 R? 911 CS or 911 RS? Well, the GT3 RS definitely needs a wing since it’s supposed to slot above the GT3, while the GT2 RS needs at least a large spoiler in order to handle the enormous amount of power it’s supposed to get. 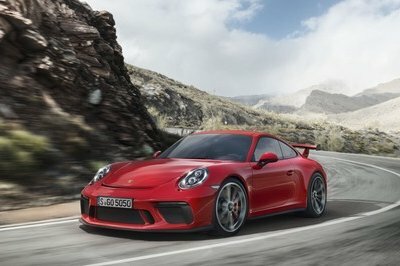 This leaves with just one option: a GT3 that’s not so much about track performance as it is about the driving experience. Or a 911 of the club sport variety, which is pretty much what the 911 R was all about. As a refresher, the 911 R shared its mechanical parts and most of the design with the GT3, but lacked the rear wing. It also added a manual transmission when the GT3 came with a PDK only. 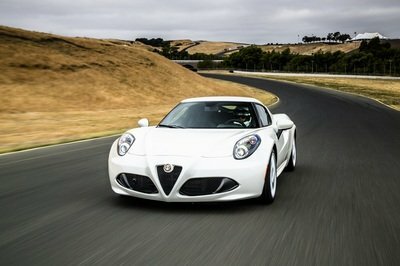 The R package was limited to only 991 units, which were sold out before the car was launched, and Porsche said it won’t make another batch. So bottom line is that will be very similar to the 911 R, but it will have a different name. The badge is still a mystery at this point, but there are at least two options I can think of: 911 CS and 911 RS. The former stands for ClubSport and it has been used in the past, while RS would suggest GT3-like performance but without the race-spec wing. To be honest, I’d be more interested to see a new GT2 RS before anything else (it’s been five years since we had one! ), but a successor to the 911 R isn’t a bad idea, especially with the 991-generation sports car now in its final two years on the market. 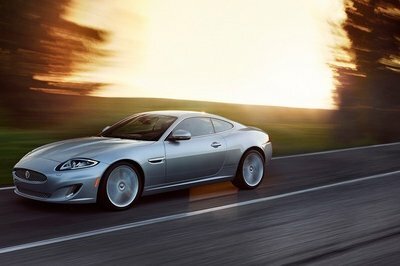 But, the big question here is, how much power will this club sport-type coupe offer? The GT3 is already as powerful as the previous 911 R and GT3 RS and an identical output wouldn’t be much of an evolution, despite all the 991.2 upgrades. On the other hand, I bet that a new run similar to the 911 R will sell like hotcakes no matter the output, so Porsche is set to launch yet another winner.